It’s payback time for President Jacob Zuma as his ruling ANC censures its lawmakers who openly backed a move to oust him, increasing his sway over who’ll succeed him. The ANC fired Makhosi Khoza as chairwoman of parliament’s public service committee last week after saying it would punish three legislators who announced they’d back an opposition motion of no confidence in Zuma. It then wrote to Derek Hanekom, the head of its disciplinary committee, rebuking him for his Twitter postings calling for the president’s removal. The ANC’s response shows the balance of power within the party is still tilted in favour of Zuma, who’s due to step down as its leader in December and as president in 2019, according to Ralph Mathekga, an analyst at the Mapungubwe Institute for Strategic Reflection, a Johannesburg-based research group. Zuma has indicated he wants to be replaced by former African Union chairwoman Nkosazana Dlamini-Zuma, his ex-wife and the mother of four of his children, rather than her rival, deputy President Cyril Ramaphosa. Scandals have shadowed Zuma, 75, during his eight-year presidency, including a finding by the nation’s top court that he broke his oath of office by refusing to repay taxpayer funds spent on his private home. The nation’s graft ombudsman accused him of allowing members of the Gupta family, who’re in business with his son, to influence cabinet appointments and the award of state contracts. 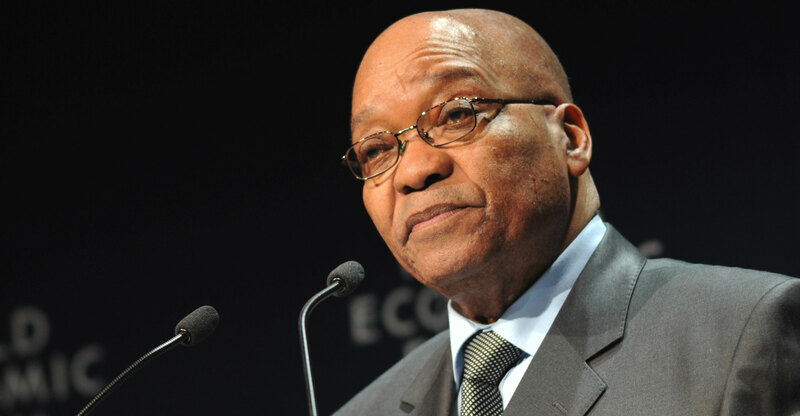 Zuma and the Guptas deny wrongdoing. While Zuma has escaped censure because he’s retained the backing of most of the ANC’s top officials who rely on him for their jobs in the government and cabinet, his leadership has opened up deep divisions within the 105-year-old party and eroded its support. The economy has also suffered, with the nation falling into a recession this year, unemployment at a 14-year high and business confidence close to a three-decade low. Zuma’s detractors within the ANC’s national executive committee, one of its top decision-making bodies, unsuccessfully tried to unseat him at meetings in November and May. On 8 August, more than two dozen of the party’s lawmakers backed the opposition no-confidence motion. He survived by 198 votes to 177 in a secret ballot in the national assembly, where the ANC holds a 62% majority. While the party has targeted those lawmakers who have spoken openly about their views on Zuma, its unable to punish others who voted for his ouster in secret but didn’t declare their intention publicly. ANC secretary-general Gwede Mantashe and Jackson Mthembu, the chief whip in parliament, said that whatever misgivings party members have about Zuma, they can’t break ranks and play into the hands of the opposition. Other lawmakers who’ve openly criticised the president include Pravin Gordhan, who was fired as finance minister in March, and Mondli Gungubele, a former mayor of the Ekurhuleni municipality. Nominations for the ANC’s leadership contest formally open next month, and the candidate who gets the top post will also be its presidential nominee in 2019. 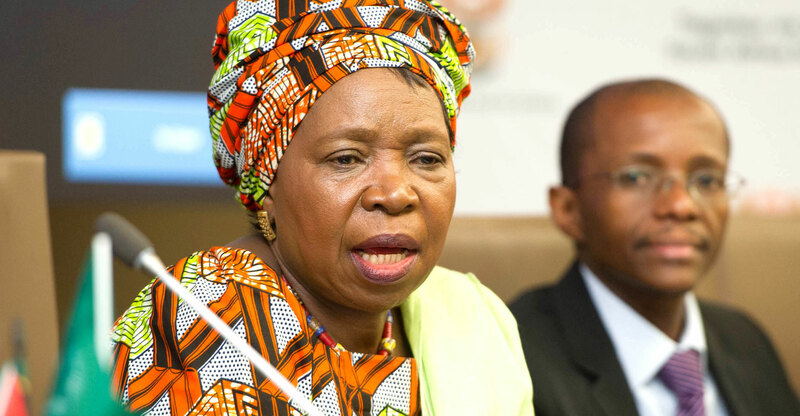 Dlamini-Zuma, 68, has echoed Zuma’s calls for “radical economic transformation” to address racially based income disparities that date back to apartheid rule, while Ramaphosa, 64, has emphasised the need to stamp out corruption and foster inclusive economic growth. While Zuma and his allies will probably prevail in December, the rebels could use the party’s disciplinary procedures to air their critique of the president, according to Darius Jonker, an analyst at Eurasia Group. Everyone comes with few flaws because no one is perfect. The writer has well covered the points which might go against the president but lacked the transparency. His efforts to keep SA globally active have been unfairly ignored. Under Zuma presidency, black business have transacted more freely with State Owned Enterprises. But the paid media has sworn to overlook these facts. Criticizing wont help the nation to prosper.